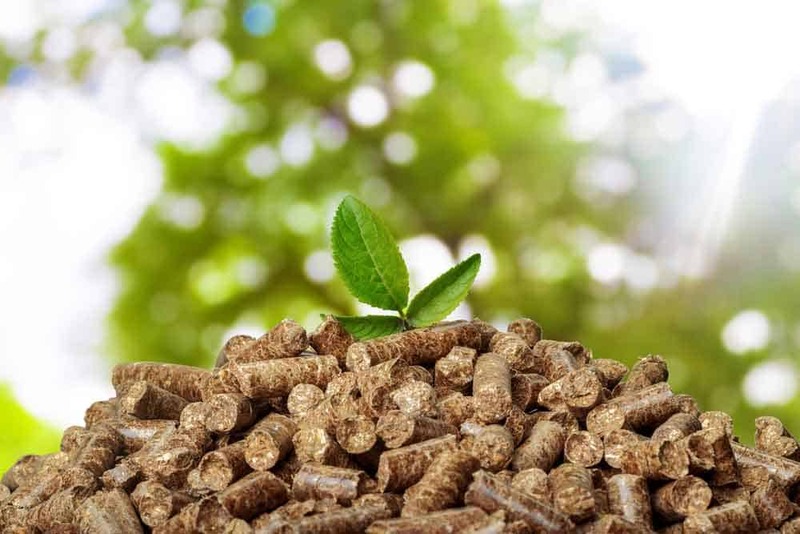 Biomass fuel is energy that has been created through photosynthesis and stored in organic matter. That fuel often takes the form of wood products, dried vegetation and crop by-products. The most common form of biomass fuel is wood from trees. This form of fuel has been used for humans for a very long time, and this continues to be the case. Wood pellet boilers are a practical and safe way to deliver hot water, and heating needs to your home and behaves much the same as a traditional oil or gas boiler. By using a hopper attached to a pellet store the wood pellet burner is automatically fed fuel from the hopper as required by the system. The hopper itself can be attached to various sizes of pellet stores depending on rates of consumption and available space! Our biomass boilers run on wood pellets which are one of the most efficient forms of off-gas fuels. These can be sourced from suppliers in a “closed carbon cycle” system where the amount of carbon emitted during the burning of the fuel is balanced by the planting of trees. This massively reduces the net carbon being released into the atmosphere as the trees planted remove the carbon dioxide from the atmosphere. We are pleased to be able to supply the full range of Grant Biomass boilers. The award-winning patented condensing heat exchanger fitted inside the boilers make them some of the most efficient boilers on the market in the UK. Humphrey & Crockett Ltd is a plumbing and heating company based in Andover, Hampshire. Established in 2010 we serve Andover, Southampton, Salisbury and Winchester as well as most of Hampshire, Wiltshire and Berkshire. We cater for the needs of those wanting installation and maintenance of wood-burning stoves and solid fuel systems, fireplace supply and installation as well as all aspects of plumbing, gas and oil central heating. Our years of experience, accredited training and high professional standards are put into every job we undertake for every customer we see. This allows us to offer an aftercare service that will give you the peace of mind that will continue well after the install.